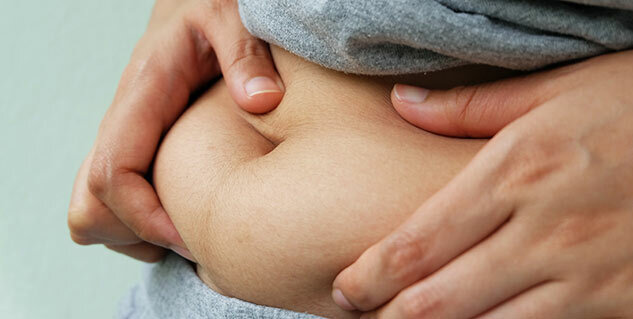 The fat around your belly can be as stubborn as a leech on the toilet seat. If you want to trim it down a bit, there is a better way of doing it than the crunches. Besides a ruined body image, belly fat can expose you to impending diseases. Weight gain in the midsection is when the cortisol levels spike. Stress is one of the main reasons why there is an excess of cortisol secretion in the body. The cortisol holds on to fat storage in the abdominal region. When the biorhythms are off at night, one is likely to eat more. Therefore, avoid staying up to work late at night. Besides, when you are tired and you deprive yourself of sleep, you end up producing more of ghreline, which further triggers cravings for fat-building and sugary foods. If you lose sleep you also tend to alter the hormone production, thereby affecting the cortisol levels that trigger insulin sensitivity. Therefore, remember to get at least 7 hours of sleep. Anything that has sugar in it is your enemy. When you are eating, remember to reduce the number of calories by filling yourself up with vegetables, protein, whole grains and replacing snacks with healthful ones. Alternatively, you may sprinkle cinnamon in your morning coffee or oatmeal to stabilise blood sugar levels. These foods have been said to slow the rate at which food leaves the stomach, keeping one feel fuller for longer. As mentioned earlier, the body secretes more cortisol hormones when it is under stress, which can be balanced with the help of taking as much of vitamin C as possible. Vitamin C also helps in making carnitine, a compound that helps in burning fat. That may seem like an ambitious target, but if you target to take 10,000 steps a day, your visceral fat (belly fat) can be reduced by about 7 per cent just after 2 weeks. To know that you are taking more steps with each day, you my carry a pedometer and take the stairs instead of the elevator, walk instead of driving and stand up and walk 30 steps every 30 minutes. If you have a job that demands you to be seated from 9 a.m. to 5 p.m., consider investing in a treadmill desk. Several studies have found the correlation between consuming a diet rich in whole grains to the drastic reduction in belly fat. One such study found that people who ate whole grains along with vegetables, fruits, two servings of lean meat and three servings of low-fat dairy products lost more belly fat compared from those who ate the same diet, but consumed refined grains instead of whole grains. Belly fat is a proclamation of an unfit you, learn to lose it effectively so that you can sport a flat tummy.